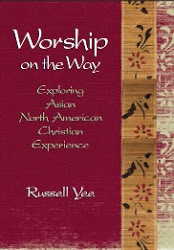 Worship and preaching have played the significant role for Asian American experience of God and education on “good” Christian life. Especially, preaching has been considered the most pivotal moment for the formation and transformation of Asian American Christian spirituality at the local level. The section asks and answers such questions as What is the unique, underground theological narrative that frames the worship experience and preaching activity? How has Asian cultural or religious heritage influenced the Asian American liturgy? What are particular characteristics of Asian American preaching? What are current challenges in the practice of worship and preaching? etc. Not many publications are available in this area, yet important ongoing discourses are presented.